Do you know that the way you study can impact your grades? Learn which study methods get results and which learning strategies can harm your test scores. While classroom work is the first step to learning, effective studying techniques can make a lasting difference in one’s information retention and understanding of the class material. While a brute force approach to learning may get the job done, it’s not necessarily the most effective or efficient study plan. At OneClass, we’re committed to helping students get better grades. We dug through scientific research to identify five study methods that are recommended by cognitive scientists. These study tips may improve the efficiency of how you study, helping you to learn more in less time and retain it longer. Discover what neuroscientists, biologists, and psychologists recommend for how to study smarter. Parents and teachers often give students advice not to wait until the last minute, warning that cramming for exams isn’t the best way to get good grades. Well, there’s science to back this up. Researchers found that final test results improved when studying was spaced out over time. This spacing effect has been repeatedly studied, and one research experiment found a 36 percent improvement in grades because of spacing out study sessions. This technique works by using the brain’s neuroplasticity to improve memory. By spacing out study sessions, there’s a neural process of learning, forgetting a little bit, and re-learning. These cycles are what build stronger memory. Scientists have even identified optimal timing increments, recommending daily study sessions or every other day. Using practice tests while preparing for exams can help you improve your performance. This learning strategy isn’t just about becoming familiar with a testing format; it’s about reinforcing the brain’s memory retrieval process. Research shows that test scores can increase by 25 percent when students use practice recall in their studies. Remember that re-reading material can refresh your awareness, but it won’t help you build the memory recall skills that can help you know the correct answer during your exam. A better way to study is to use flashcards or sample quizzes from your textbook, or by building a mock exam from shared online resources such as a One Class study guide. Research shows that multitasking isn’t good for your memory, so when you’re studying, that’s the only thing you should be doing. Consider your brainpower similar to your internet bandwidth. Multiple simultaneous downloads will slow things down. Similarly, multitasking causes an increased cognitive load for your brain, reducing your ability to pay attention to what you’re learning. In fact, researchers found that even minimal multitasking has an effect. Something as simple as walking around a track while learning vocabulary words caused a 17 percent reduction in test scores. The more intensive the tasks, the greater the effect it had on grades. When experimenters walked on a more complex trail while learning words, exam performance was 32 percent lower than other students who studied while seated. While it’s a good idea to only study for one subject at a time, scientists found that rotating between subtopics could dramatically improve memory. This process, known as interleaving, means that you’ll cycle through about three subtopics, learning a little bit more about each during each cycle. Once you’ve fully studied this set and have an understanding of the material, you can move on to the next set and repeat the pattern. Interestingly, test scores are improved by 25 percent when students use the interleaving process. Moreover, the long-term impact was even more significant. When tested a month later, students that studied with the interleaving method received an average test score that was 75 percent better than other students. It’s long been said that the best way to learn something is to teach it to someone else. Known as the “protégé effect,” this learning theory dates back to ancient Rome. The reason the study technique has lasted so long is that it’s effective. Researchers found that even explaining class material to yourself could result in three times better test scores than those of other students, putting you well ahead of the curve. One program at the University of Pennsylvania uses this study strategy on a wider scale by creating a “cascading mentoring program” where computer science undergrads teach material to high school students, who then teach middle school students. 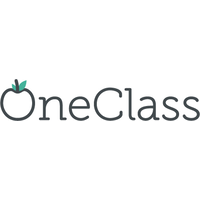 Jack Tai is the CEO and Co-founder of OneClass. Visit the site to find out more about how this online tool has helped 90% of users improve by a letter grade.